University of Michigan Women’s Soccer Summer Elite ID Camp is for 7th to 12th-grade players. This camp is a 1-day event on the 22nd of July . It will start at 9:00 AM and will end at 4:00 PM. The site of this event is at the University of Michigan Soccer Complex, a state of the art facility. It is in 2250 S. State S, Ann Arbor, MI 48104. The camp will introduce the soccer players to the collegiate level environment. It is designed for talented players who aspires to play at the collegiate level. The training will focus on the tactical and technical facets of the game. Limited slots are available to accommodate individual coaching. There will be small-sided and full-sided games. Participants will also get to know the university’s coaching staff and players. Overall, the camp will provide an extraordinary and fun experience. The University of Michigan is a public university. It is the oldest university in the state of Michigan. It is also one of the founders of the Association of American Universities. Currently, it accommodates around 44,700 students. Furthermore, the University of Michigan has 27 athletic teams. The university teams are known as the Wolverines. Blue and Maize Yellow are the university’s colors. The women’s soccer team is campaigning in NCAA Division I Big Ten Conference. The team has also a NCAA Quarterfinals appearance in 2013. The university coaching staff organizes this women’s soccer camp. Greg Ryan is the Head Coach of the team. will be his 10th season in this position. Under his guidance, his players became academic and athletic achievers. Coach Greg has 9 appearances in the NCAA Tournament. Then, he also has 2 appearances in the Final Four. He has been coaching college soccer for 23 years. Completing the Wolverine’s coaching staff are Tiffany Hansen, Dean Duerst, and Ben Ryan. Coach Tiffany handles recruitment matters while Coach Dean specializes on defense. Volunteer Assistant Coach Ben Ryan is Greg Ryan’s son. He is a Doctor of Philosophy in Integrative Physiology. 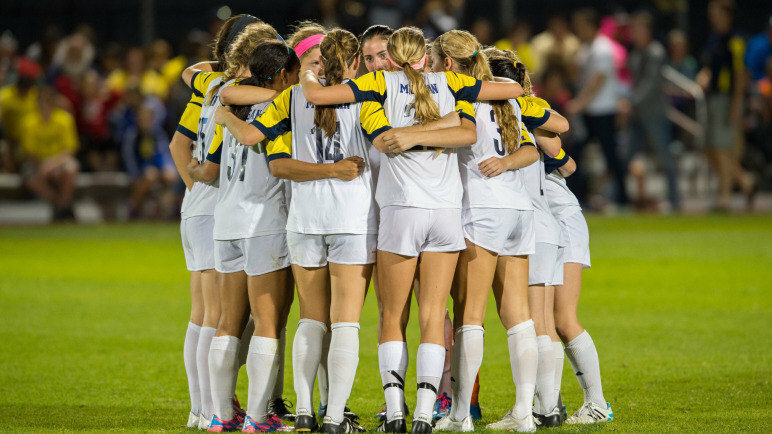 University of Michigan Women's Soccer Summer Elite ID Camp is for 7th to 12th-grade players. This camp is designed for outstanding female soccer players.